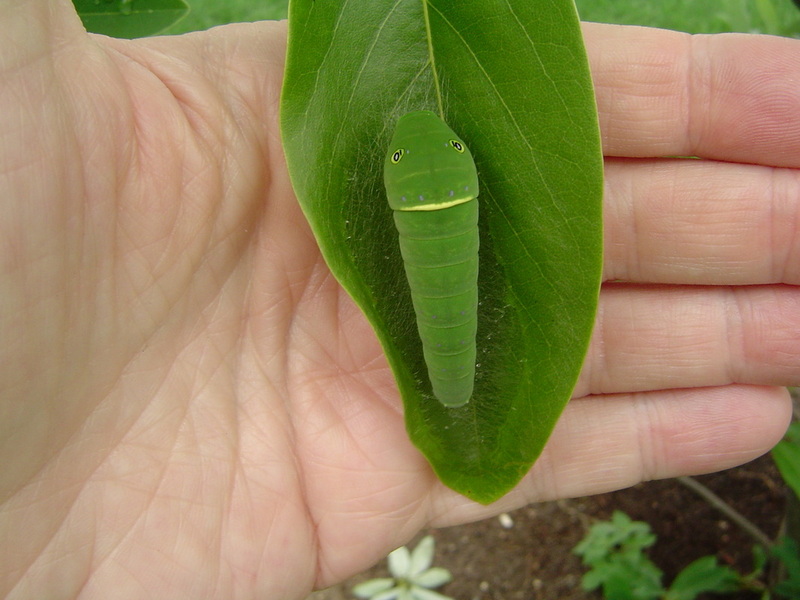 Size: up to 4 1/2 "
Found on the ground below a sweet bay magnolia, this leaf indicates to a human observer the presence of a tiger swallowtail caterpillar on the shrub. 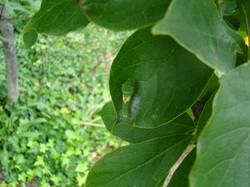 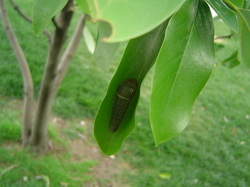 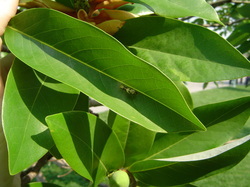 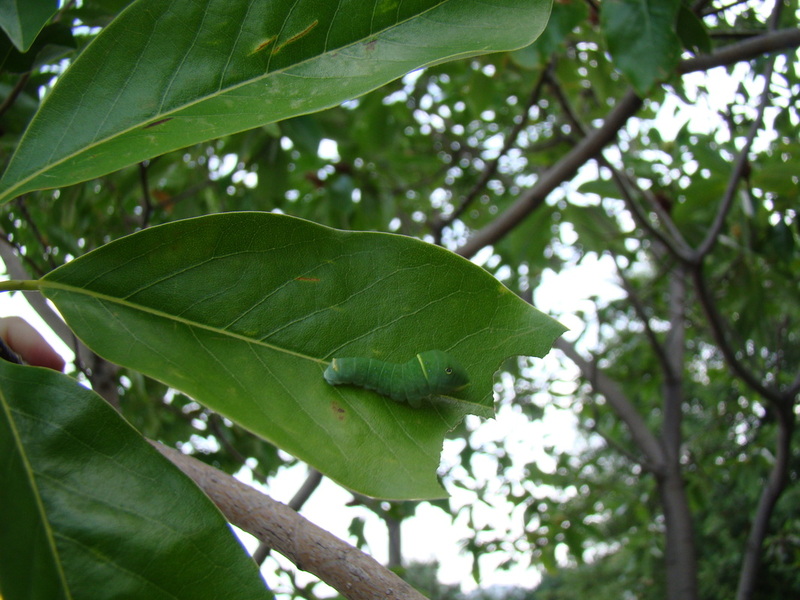 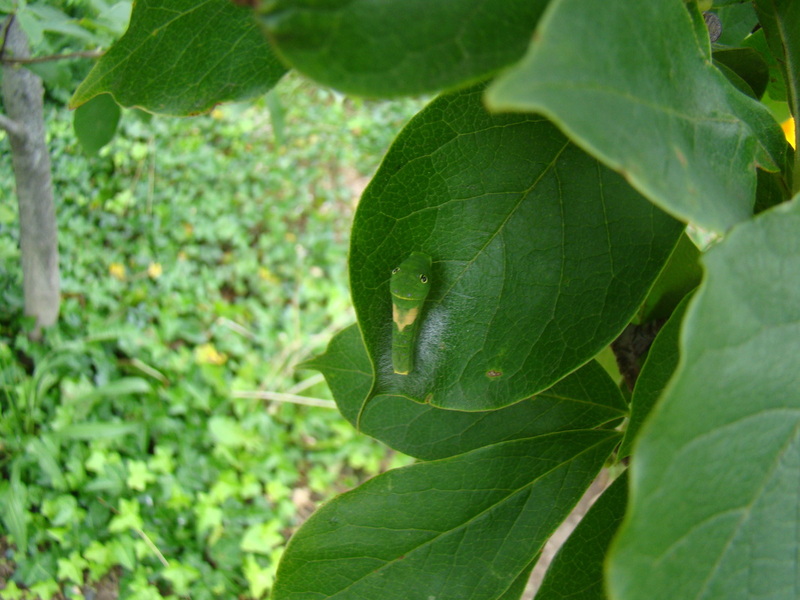 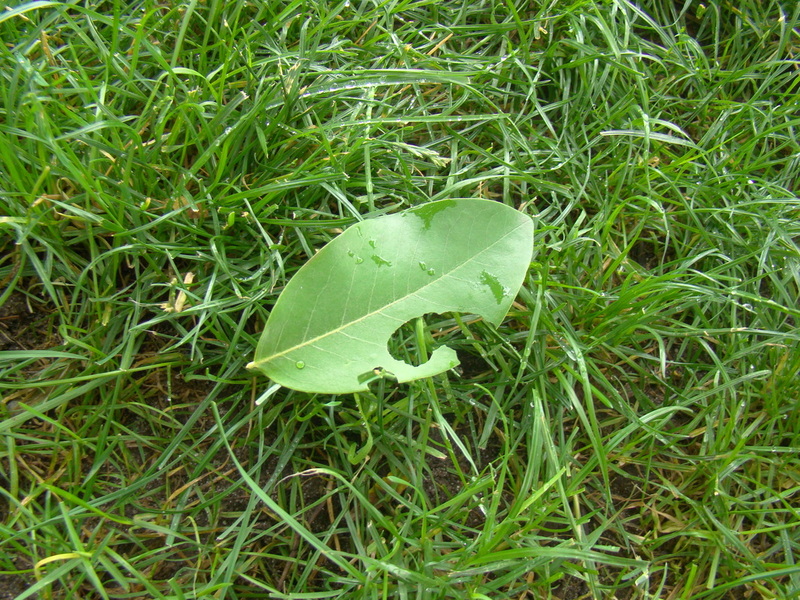 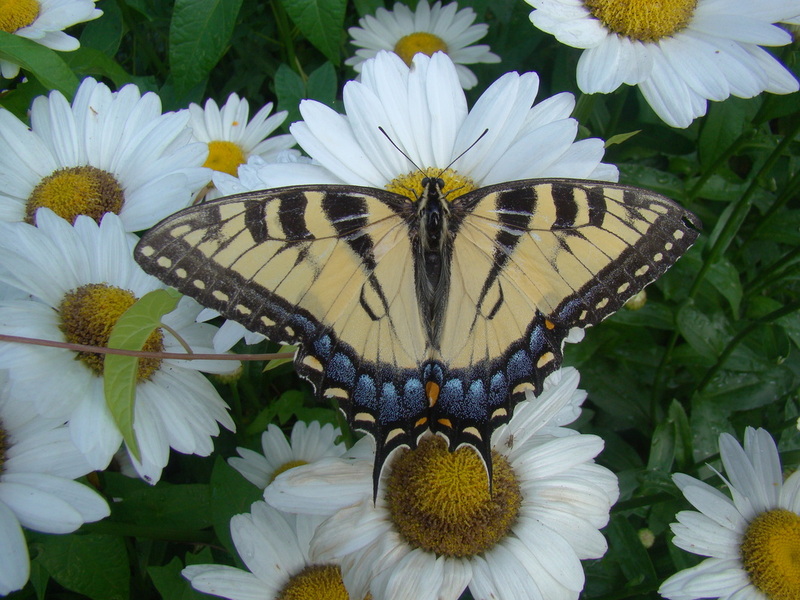 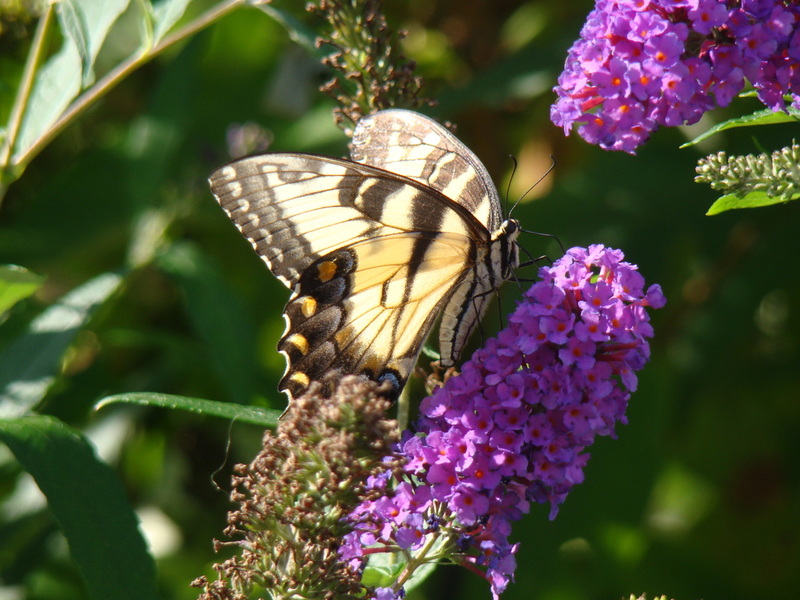 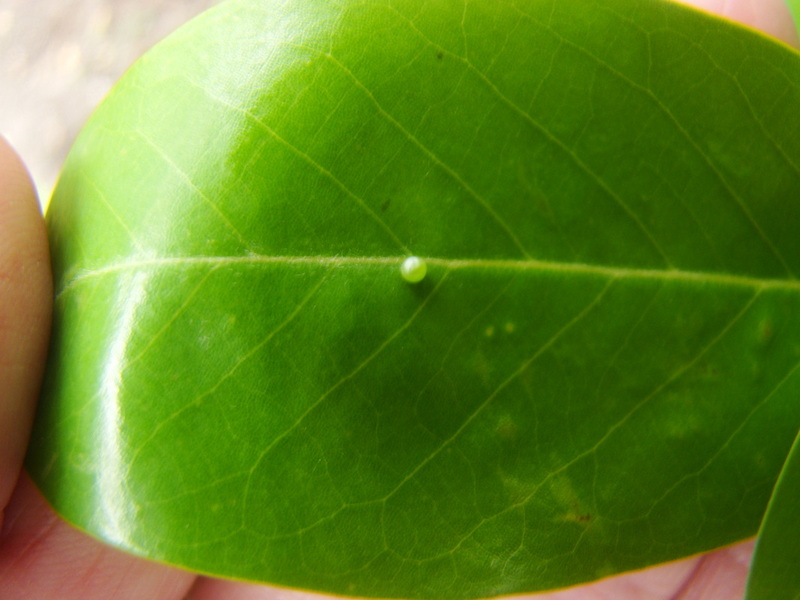 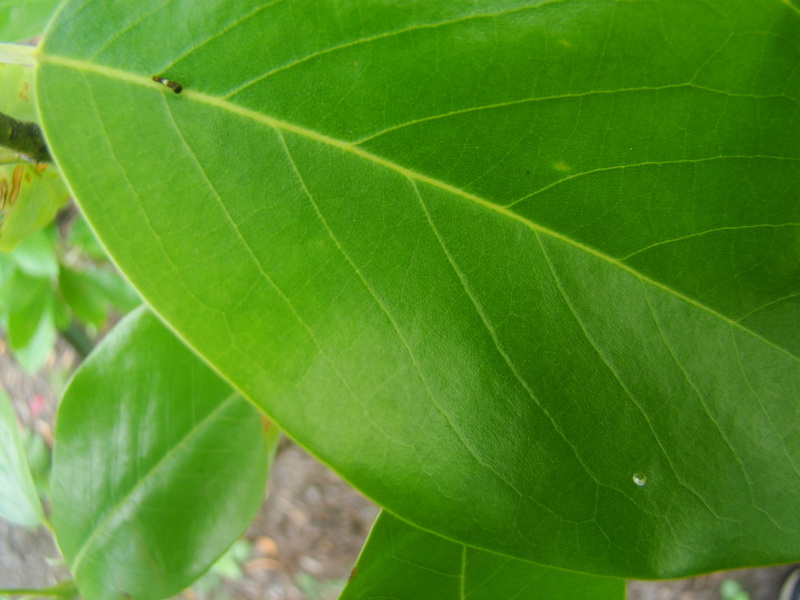 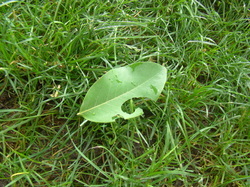 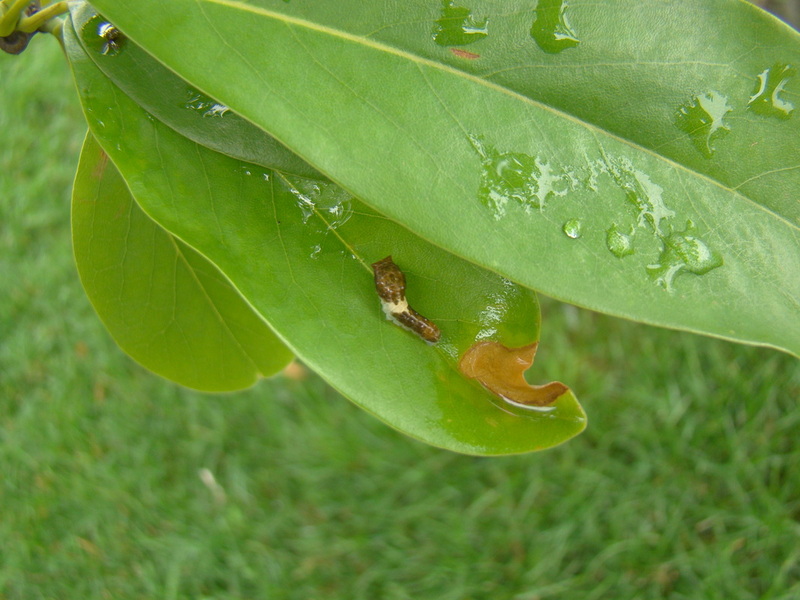 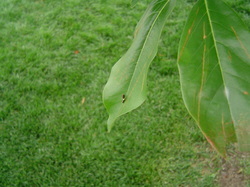 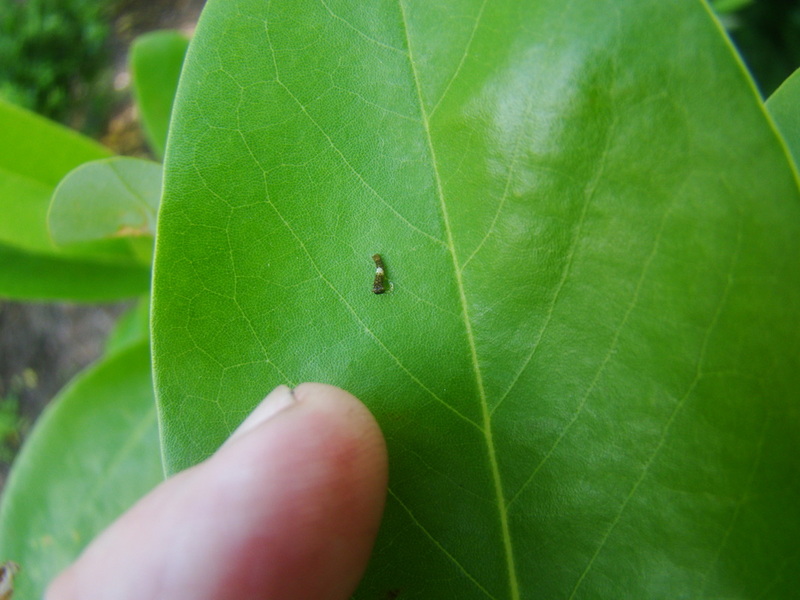 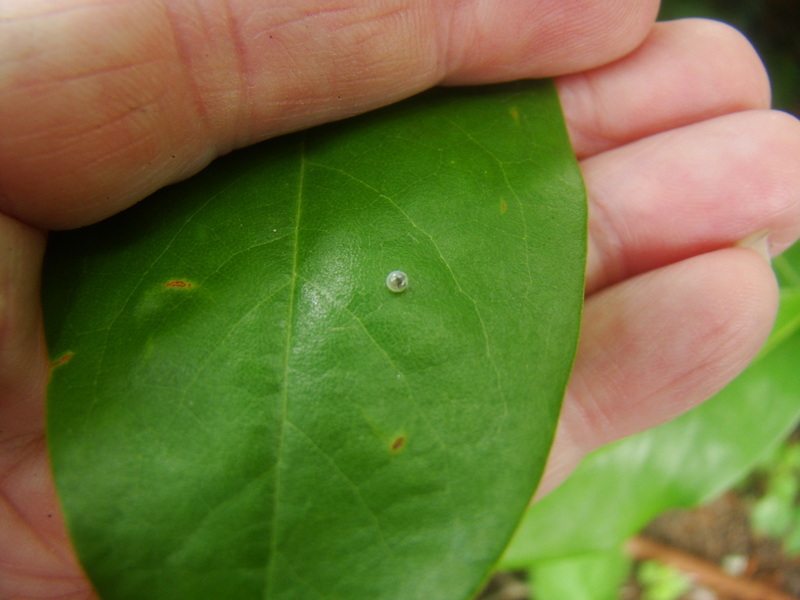 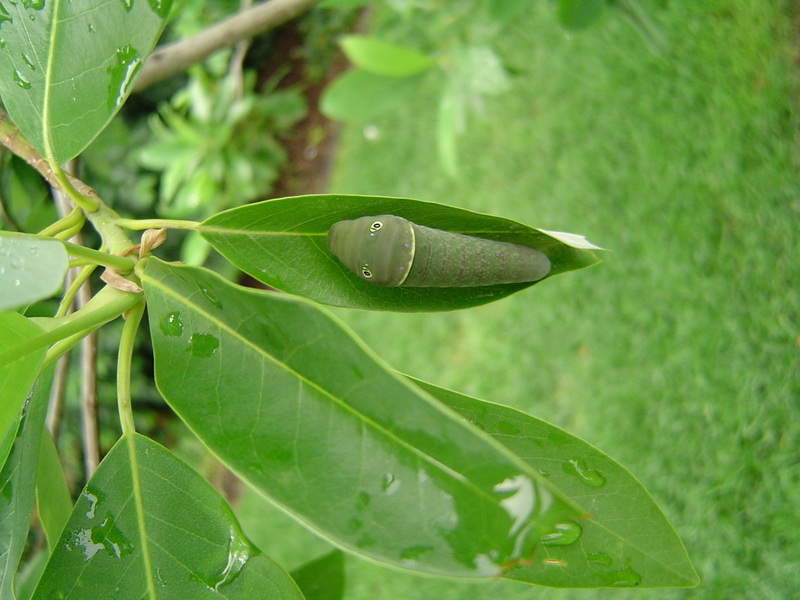 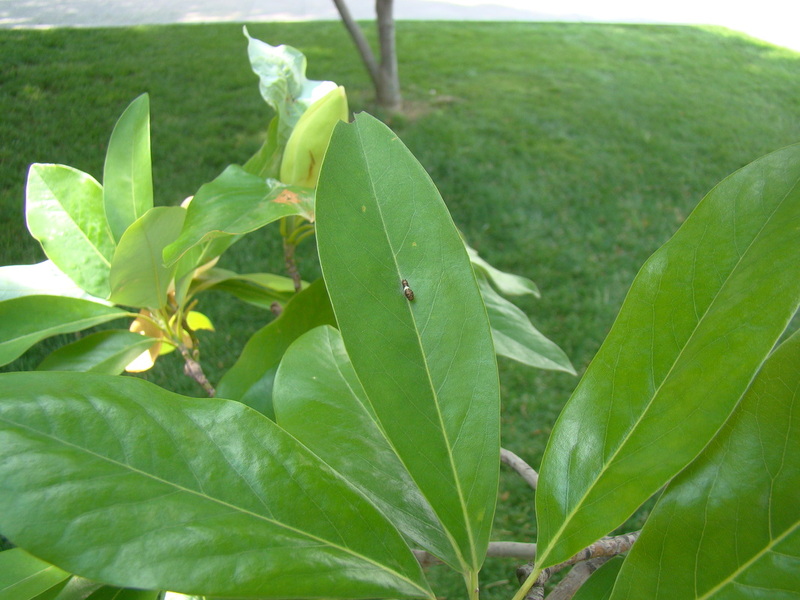 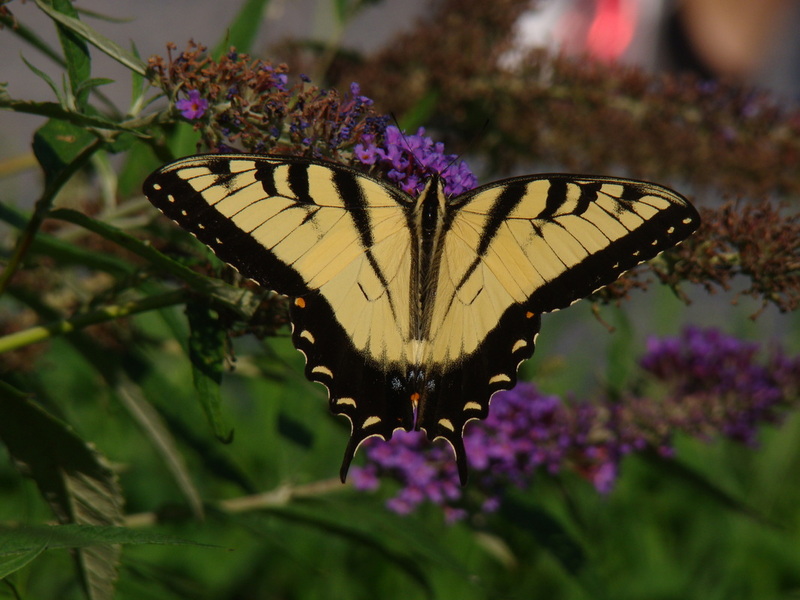 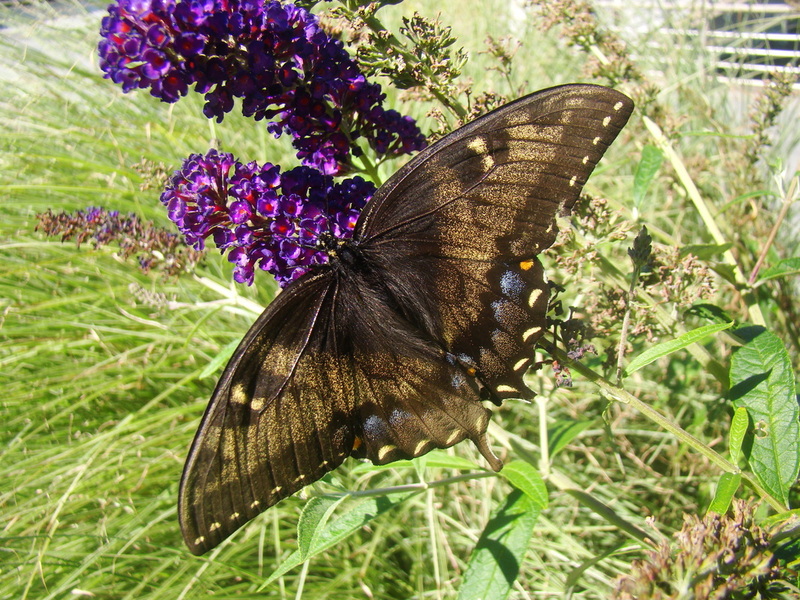 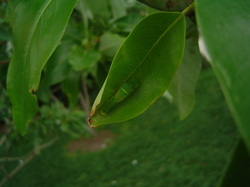 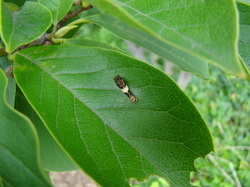 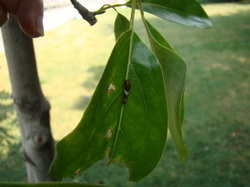 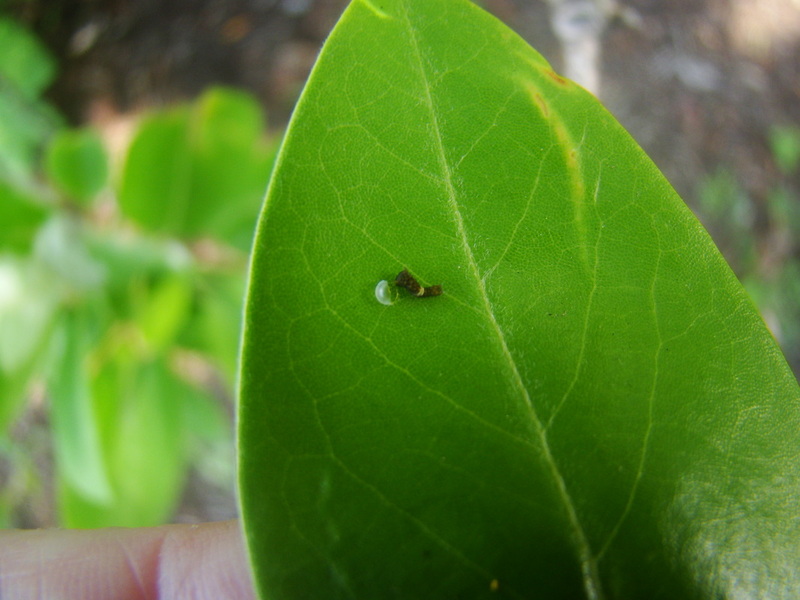 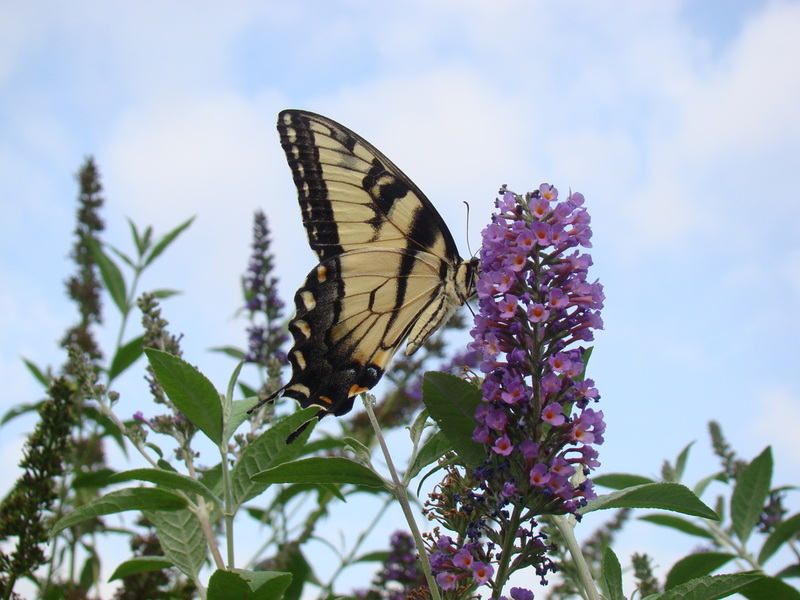 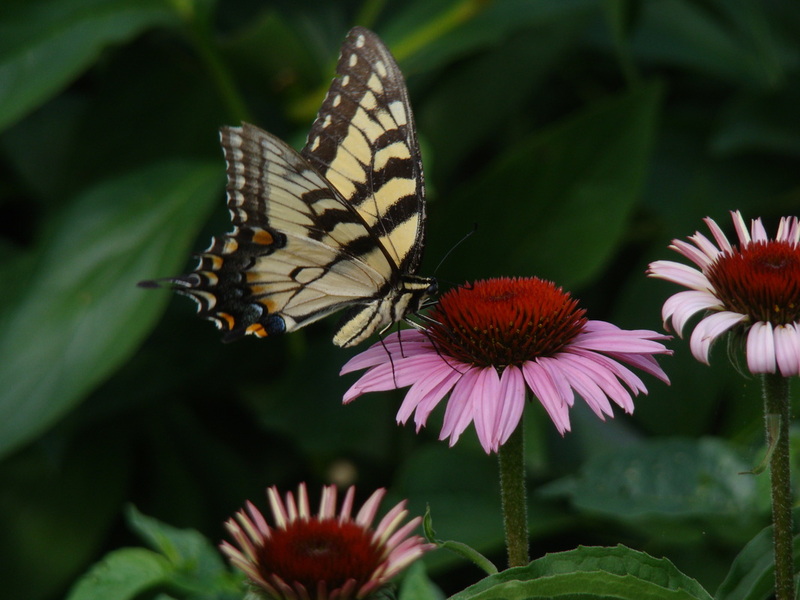 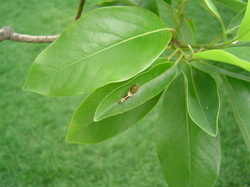 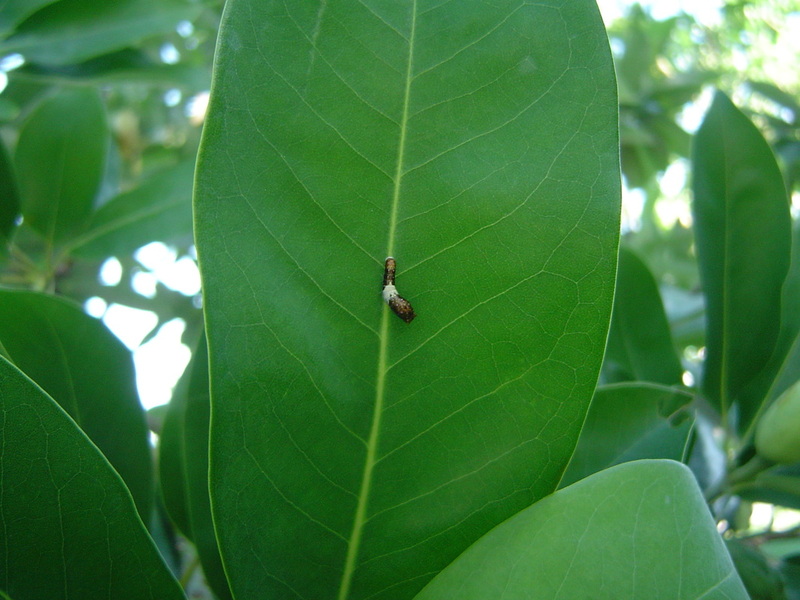 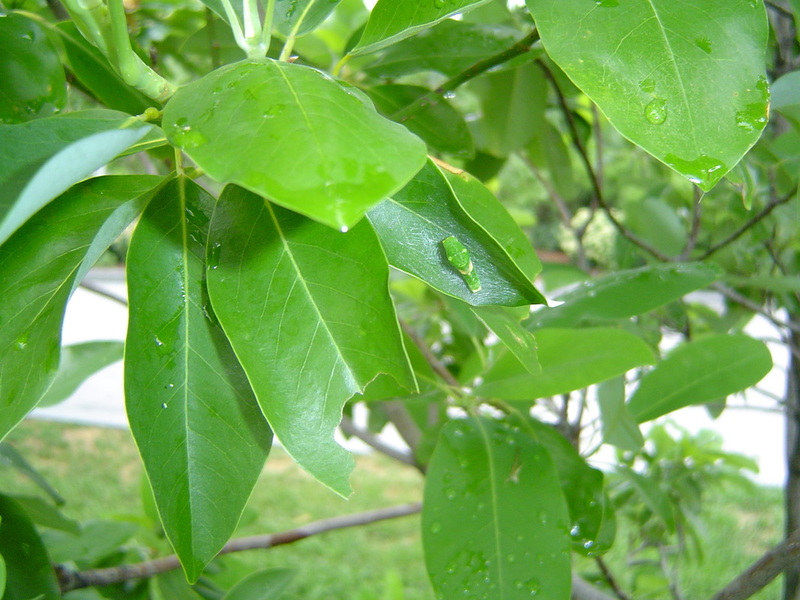 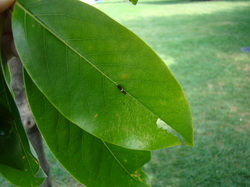 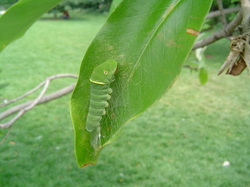 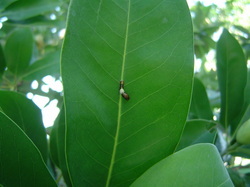 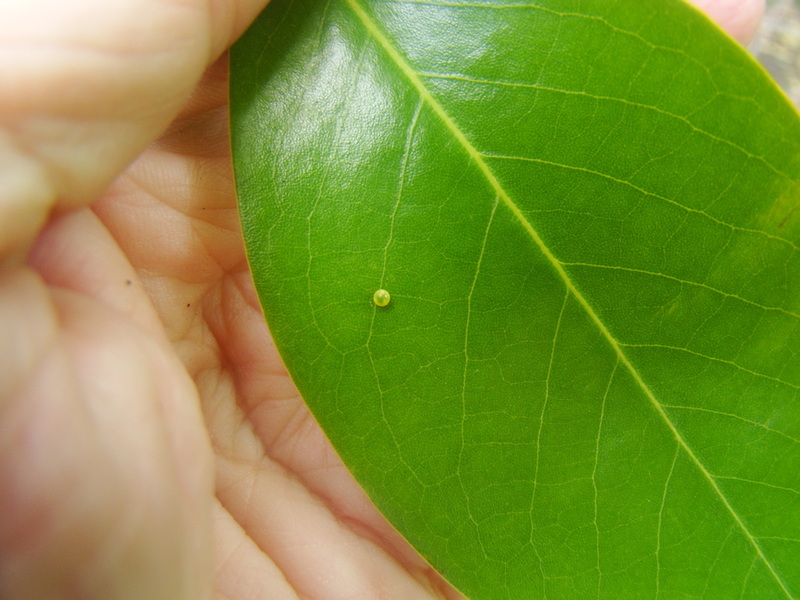 The partly eaten leaf has been removed from the shrub by a butterfly larva chewing through the petiole, or leafstalk. It has been theorized that predatory birds learn to associate partly eaten leaves on a tree or shrub with the presence of caterpillars, and so caterpillars that detach such leaves have a better chance of surviving. But what is there to keep birds from learning to associate similar leaves on the ground with caterpillars on the shrub?